NEW SHOUTcast v2 - IS HERE! NEW HTML5 - PLAYER IS HERE! Supports 13 languages. Works with WHM/cPanel and does not consume any server resources for itself. Online song name edit/update + mp3 name change on playlist manager. Fully designed with Ajax + Jquery. A powerul playlist manager. Advanced AutoDJ Features, AAC+ Encoders, IDV3v2 Live song name, title change to any text features without dropping listeners. Advanced Statistics + Listeners on Google Map Automate your billing & radio hosting services with our billing modules/API. WHMSonic HD Sound Filter Technology. Create FlashPlayers and player links easily. Setup and easily manage shoutcast radios from WHM or cPanel. Setup External or Internal Shoutcast radios. Real time bitrate & bandwidth control + limits + monitoring. Supports flashplayer, Mediaplayer, Quicktime, RealPlayer, Winamp and Webplayers. We keep our servers software up to date. Our web hosting account at backup Remotely weekly. All our servers run ConfigServer Security & Firewall and Mod_Security . Softaculous 1 Click script installer. Is a easy to use to php script software installer. Over 178 php Script available. 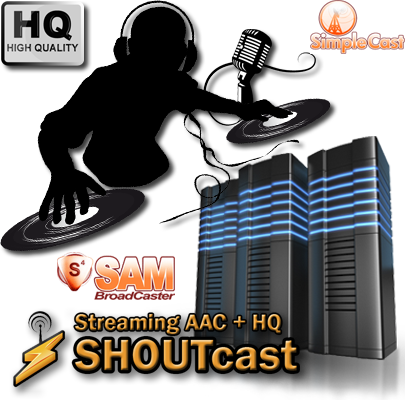 All our ShoutCast hosting plans come with Autodj with disk space. We offer low prices for our Hosting Solutions. Username: Password: Remember me Lost your password or username?